Floor Machine Pads | Pro Chem, Inc. Floor machine pads are made of the finest polyester. They will not unravel or mat down. They wash and dry quickly and have a pop-out center hole for kick pad. 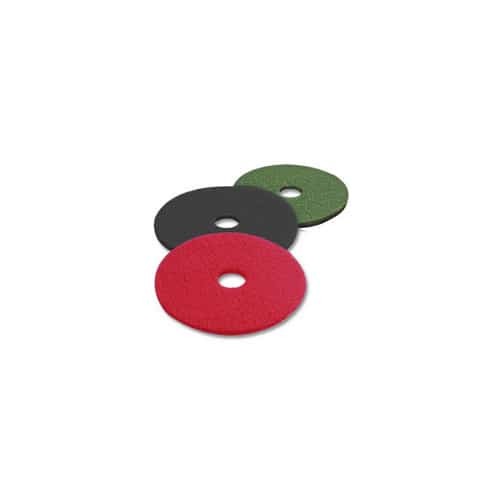 Floor machine pads are available in three grades, stripping (black), scrubbing (green), and buffing (red). Packed 5 per box. Available in 14”, 16”, 18”, and 20”. Note: Floor machine pads are not kept in stock. Pads will ship 7-10 days after order is received.